The remarkable story of how one of the most biologically diverse habitats in the world was destroyed, restored, and continues to evolve—with stunning, full-color photographs by two of the world’s best wildlife photographers. A Window on Eternity is a stunning book of splendid prose and gorgeous photography about one of the biologically richest places in Africa and perhaps in the world. Gorongosa National Park in Mozambique was nearly destroyed in a brutal civil war, then was reborn and is now evolv-ing back to its original state. Edward O. Wilson’s personal, luminous description of the wonders of Gorongosa is beautifully complemented by Piotr Naskrecki’s extraordinary photographs of the park’s exquisite natural beauty. A bonus DVD of Academy Award–winning director Jessica Yu’s documentary, The Guide, is also included with the book. 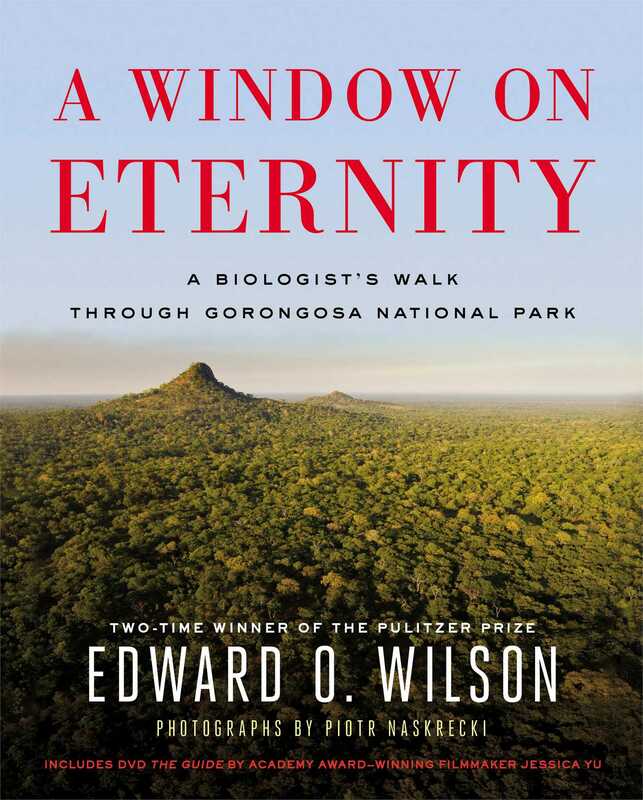 Wilson takes readers to the summit of Mount Gorongosa, sacred to the local people and the park’s vital watershed. From the forests of the mountain he brings us to the deep gorges on the edge of the Rift Valley, previously unexplored by biologists, to search for new species and assess their ancient origins. He describes amazing animal encounters from huge colonies of agricultural termites to spe­cialized raider ants that feed on them to giant spi­ders, a battle between an eagle and a black mamba, “conversations” with traumatized elephants that survived the slaughter of the park’s large animals, and more. He pleads for Gorongosa—and other wild places—to be allowed to exist and evolve in its time­less way uninterrupted into the future. As he examines the near destruction and rebirth of Gorongosa, Wilson analyzes the balance of nature, which, he observes, teeters on a razor’s edge. Loss of even a single species can have serious ramifications throughout an ecosystem, and yet we are carelessly destroying complex biodiverse ecosystems with unknown consequences. The wildlands in which these ecosystems flourish gave birth to humanity, and it is this natural world, still evolving, that may outlast us and become our leg­acy, our window on eternity. Edward O. Wilson is generally recognized as one of the world’s leading scientists. He is a two-time Pulitzer Prize winner and the author of many influential books, including The Diversity of Life, Naturalist, The Ants, and Sociobiology: The New Synthesis. 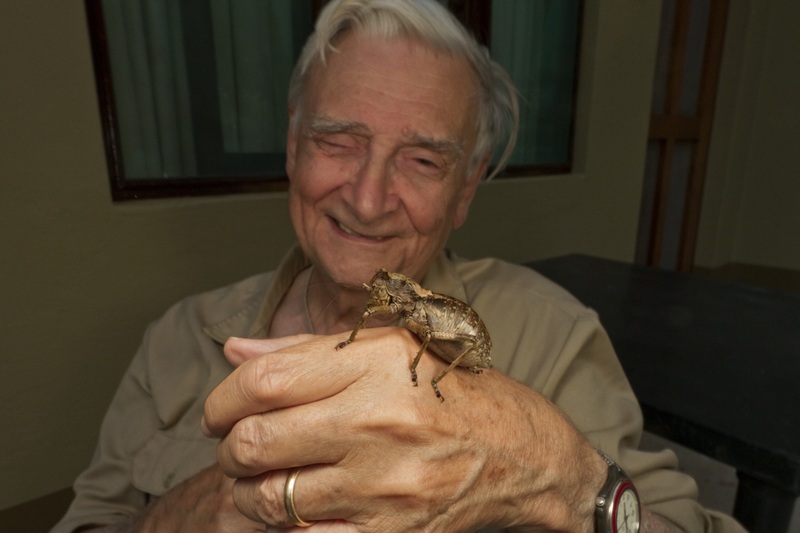 He is currently Honorary Curator in Entomology and University Research Professor Emeritus, Harvard University. "[Wilson is] The world's greatest living naturalist."